There is no one-size-fits all wellness. WE HELP YOU CREATE YOUR PERSONALIZED WELLNESS SOLUTION FOR A CONSCIOUS LIFESTYLE. Get weekly inspiration to find what works for your unique body and live your best life! These three words have been hijacked in our current society to represent perfection and living a “hard” life. You can be sustainable and not be zero waste, you can be a healthy eater and eat cake, and you can be ethical and not be vegan. 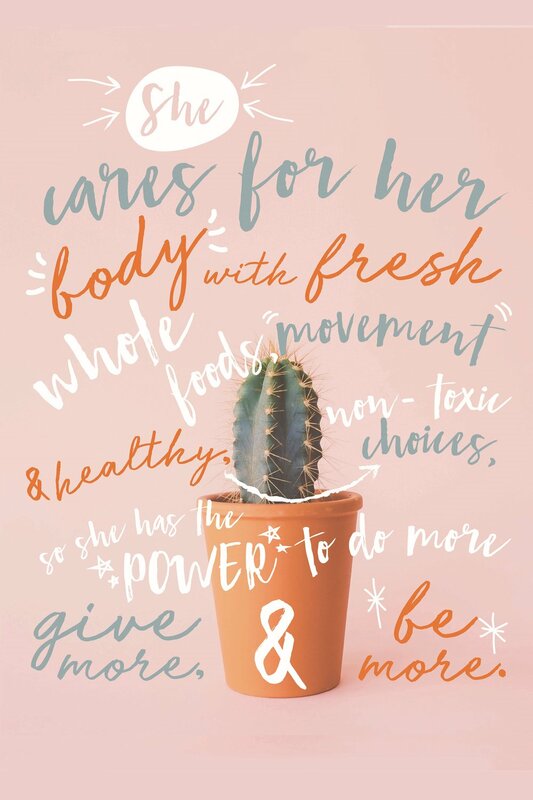 Here at S|H|E we help you take the “hard” out of wellness and find what works for you and your unique body to feel well. But more importantly, we celebrate what you can do, instead of focusing on what you can’t! The word “sustainable” quickly triggers thinking “green” or being eco-friendly (which we believe in) , but it also represents making choices you can maintain over time in your #reallife. There are an infinite number of healthy changes that support the WHOLE YOU - mentally, emotionally, physically & spiritually. Health is not about what works for other people. It’s never one-size-fits-all; health is infinitely individual, which is why we don‘t support labels or fads. There are an infinite number of ways you can #votewithyourwallet and support good companies that put people over profits. Ethical choices aren’t always easy, but they come from the heart and contribute to a life lived well. How losing our health was the first step to gaining it. and there’s incredible possibility in that! GET INSPIRED WITH THE S|H|E NEWSLETTER! Ready for tips, motivation, and insider secrets you’ll use to actually make changes and create your best life? Then sign up for the S|H|E newsletter today! I consent to having S.H.E. collect my data via this form by clicking the SIGN UP button.